CLOSED: Become a Certified Sisig Master! Sisig Master Stars competition is now closed. Thank you for your interest. Stand a chance to win PhP100,000 and have your restaurant featured in Zomato’s Partner Collection, Pepper Listicle, and Spot.ph when you become a Certified Sisig Master! All you have to do to is create an innovative sisig dish and climb up the ranks from 1-star to 3-star Sisig Master Certification. Registration is open until 31 July 2018, so watch the video, get inspired and sign up now. Follow the steps below to earn your 1-Star, 2-Star and 3-Star Sisig Master Certification. 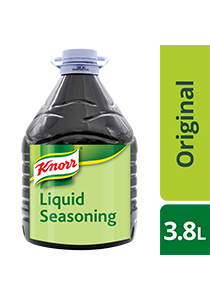 Create an innovative sisig dish using Knorr Liquid Seasoning. Take a picture of your plated dish along with a photo of you, as well as your restaurant logo. Register and submit your dish and details. All 1-Star Sisig Masters are entitled to join. All 2-Star Sisig Masters are entitled to join. Create your unique sisig in 4 steps! *For the full list of certification details, take a look at our Terms and Conditions.